Fort Worth and Dallas, despite being closely aligned in geography, grew from different roots and shared a long-standing rivalry. Now, however, each city seems to have come of age and to have developed a distinct personality. Any Texan can tell you: Dallas is Big D. Fort Worth, located just to the west, is Cowtown and proud of it. Each occupies a fork of the uniquely Texan Trinity River, and water played an important role in early Fort Worth real estate development for both cattle and people. While the names of the two cities are often taken together as a metroplex, Dallas and Fort Worth, though moving along parallel trajectories, retain their individuality. 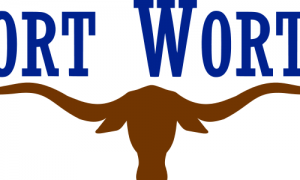 Dallas and Fort Worth have distinct personalities, attributes, and supporters. Present-day Fort Worth grew from a frontier outpost established in 1849. In the early years of urbanization following the end of the Civil War, Fort Worth was the larger of the two. Each of these cosmopolitan cities continues to cultivate a unique persona with a special focus on history, art, culture, and science. What is there to do in Fort Worth? The history of the Stockyards comes to mind; the annual cattle drive through the streets is hard to ignore. Billy Bob’s Texas, billed as the largest honky-tonk in the world, is here. Children love the animals and the mystique of the Old West—so do adults. Another destination is the National Cowgirl Museum and Hall of Fame, which pays homage to pioneering women of the West, including Sandra Day O’Connor and Georgia O’Keeffe. The museum’s motto is “The Women who Shape the West . . . Change the World,” and the contributions of almost 200 women of diverse backgrounds are chronicled in its halls. Numerous special events are planned throughout the year as part of the museum’s outreach to the community. Fort Worth has a world-class zoo, a spectacular botanical garden, downtown water gardens, and numerous trails, parks, playgrounds, and playing fields. It also has an abundance of art. Fort Worth real estate includes the cultural district, compact enough for you to enjoy its museums and galleries by walking from one to another, interesting enough to bring you back again and again, and varied enough to appeal to a wide range of ages and tastes. The Kimbell Art Museum has a permanent collection of fewer than 350 works, but its small size shouldn’t discourage you from visiting. The collection is exquisite, priceless and open to the public free of charge. Opened in 1972, the Kimbell features pieces of ancient (from multiple origins) European, Asian, Pre-Columbian, and African/Oceanic art. The Kimbell’s main gallery is architecturally acclaimed, and a new pavilion designed by Italian architect Renzo Piano will open in November 2013. 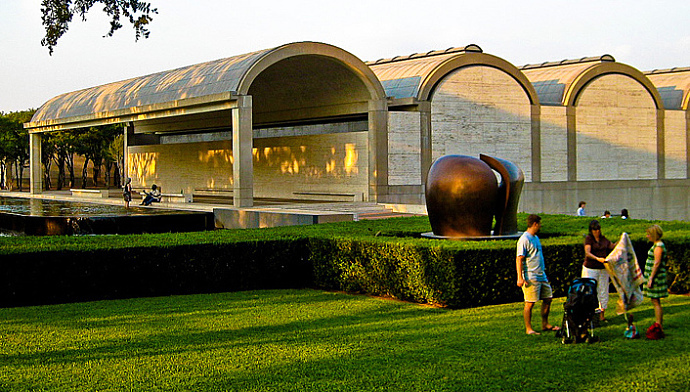 Neighboring the Kimbell is the Modern Art Museum of Fort Worth, or “The Modern,” which displays post-World War II art and is accented at its entrance by a 67 foot tall rusted steel sculpture titled “Vortex.” Visitors may stand inside the sculpture to hear its echoes. 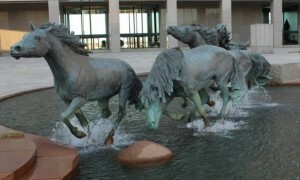 A special collection of American Art, including nineteenth and twentieth-century works by Winslow Homer, Georgia O’Keeffe, Charles Russell, and Frederick Remington, is housed at the nearby Amon Carter Museum, also open to the public free of charge. The Fort Worth Museum of Science and History is a hands-on learning center with more than 175,000 objects. It includes a planetarium, an IMAX theater and is a favorite of all ages. If you are interested in becoming more involved many museums and facilities offer volunteer opportunities and chances for participation in special events. No matter what you call it, Cowtown or Panther Town, Fort Worth offers plenty to residents and visitors alike. Read on for insider information about the renowned Fort Worth Museum of History and Science along with easy-to-use tips for incorporating souvenirs from the museum's gift shop into your home's decor. The Dallas-Fort Worth Metroplex is extremely dog-friendly, offering many outdoor areas where dogs are welcome. 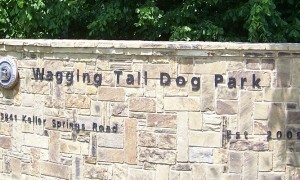 This includes a wide variety of fenced "Bark Parks" where canines can run and socialize.